While Dirda's emphasis is on small publishers and summer reading, the column actually brought me back once more to another topic—books as objects—since several of the other publishers focus on high-quality, illustrated hardcovers, often in limited editions. In his column, Dirda himself contrasts one publisher from the next in these same terms. 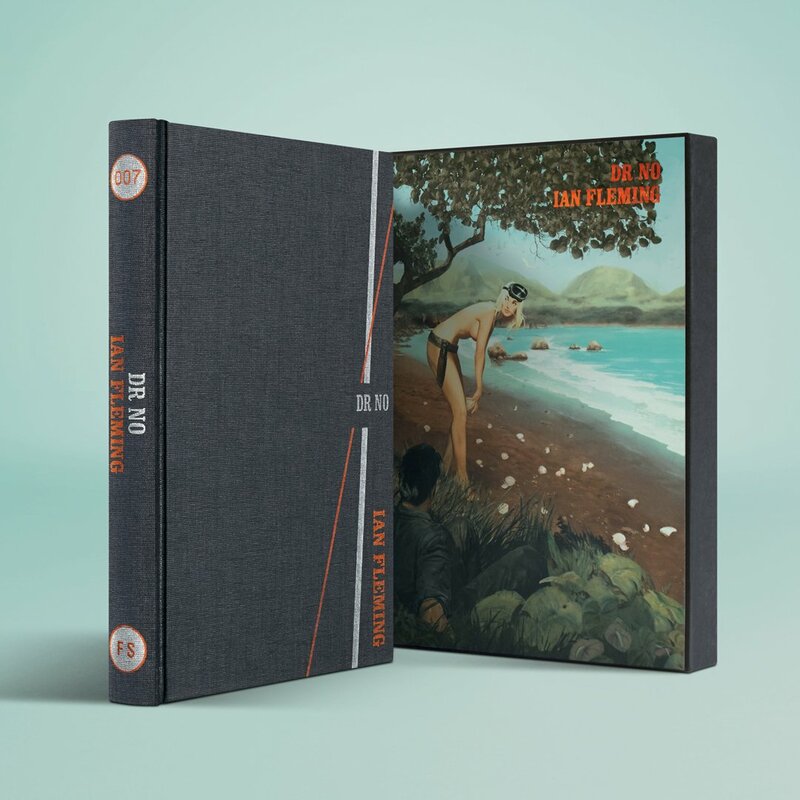 Writing about The Folio Society, Dirda asks, "Are these the most beautiful books being published today?" and then later in the column, he notes that Wildside's books "aren't fancy" before praising their enormous collection of titles in "fantasy, science fiction, adventure and horror" (and, again, I'd add mystery, of course). There are a couple of ways to think about books as objects, of course. A reader may well feel some sentimental attachment to a specific book. I still have, for example, an old "junior deluxe edition" of The Adventures of Tom Sawyer, which isn't in terrific shape but which my mother read to/with me when I was a child. My tattered copy of the first volume of The Norton Anthology of American Literature never fails to transport me back into the classroom at my old boarding school, The Episcopal High School in Alexandria, Virginia. And I treasure a copy of Edward Gorey's Gashlycrumb Tinies not just because of the joy I take in reading it but also because it was a gift (Christmas? Valentine's?) from an ex-girlfriend—to whom I gave a copy of another Gorey title as a present on the same day! The book as object can be a container for memories, I guess that's what I'm saying. Interestingly, that ex-girlfriend was the one who first questioned why I enjoyed special editions of books: first editions, for example, or handsome special printings of some kind. Aren't there the same words in a tattered paperback as in a pricey hardcover? And aren't the words inside what matter? It's hard to argue with her point—both from a writer's perspective and from a reader's, the words themselves are indeed the most important thing—but at the same time I can't help but admire and enjoy the beauty of a well-made book, holding it in my hands, reading it: an elegant binding, fine paper, original illustrations, etc. My wife Tara and I have become big fans of those Folio Society books ourselves. Just recently, she ordered their new edition of H.P. Lovecraft's Call of Cthulhu & Other Stories, which features some beautiful illustrations by Dan Hillier, and at the same time ordered me the next title in Folio's series of James Bond novels, Dr. No, illustrated by Fay Dalton. I already have the first two in the series (they're doing about one a year), and I anticipate continuing to collect the rest (I'm a sucker for these things, I know). And as a bonus for ordering two books, Folio sent us a surprise title: The War at the End of the World by Mario Vargas Llosa, one of my favorite writers. Much appreciated, and a beautiful edition as well. And I've also enjoyed a couple of Folio's editions of other crime classics: Dashiell Hammett's Maltese Falcon and Patricia Highsmith's first three Ripley novels in a nice boxed set. Another of the publishers Dirda mentioned was Centipede Press, which also produces beautiful editions, limited editions in this case, numbered and signed by author or editor or illustrator or some combination of those. On Dirda's recommendation a few years back, I ordered Centipede's edition of Paul Cain's Complete Slayers, featuring his novel Fast One and all 13 "slayers" stories he wrote for Black Mask and other pulp mags—really his complete fiction. 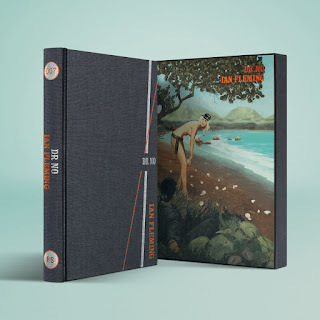 The edition features an illuminating biographical and critical essay by Max Allan Collins and Lynn F. Myers Jr., plus original cover art by Ron Lesser along with a gallery of covers of previous editions of Cain's books/collections. It's really a stunning volume start to finish, as is another book I picked up from them, Speak to Me of Death: The Collected Short Fiction of Cornell Woolrich, Volume One (which reminds me I need to order volume two soon as well). And yes, Cain's and Woolrich's stories are great too—it's the words that matter most, I agree. Centipede Press and the Folio Society aren't the only publishers putting out elegant editions of classic works. Beyond those mentioned by Dirda, another favorite publisher, Crippen & Landru, comes to mind as well; I could list a whole group of books they've published which I treasure, and congratulations to Jeffrey Marks, who recently took over the press's operations from founder Douglas Greene and promises to continue their fine work. But beyond a continued listing of publishers or of favorite special editions on my own shelves, a question: Does the specific edition/printing of a book matter to you as a reader—first editions, special editions, or those volumes with sentimental resonance—or does it make no difference at all? Great piece, Art. And I think it’s great that you and Dirda and others celebrate small and specialty presses. Long may they live! To answer your question, the main thing is the writing and what “package” it comes in is less important. When I first started reading David Goodis, one of my favorite writers, his books weren’t in print and I was buying old paperbacks in any condition that I could find them because it is the words that are important. But once newer editions of his books started coming out I re-bought several of them. And it is very satisfying to have a nice edition of a book. Also, as you say, we sometimes have sentimental attachments to books for one reason or another. Often because of who gave them to us. And, also like you, I have some old books that my mom read to me from a s a kid and they have a special place in my library. And thanks for the shout out re: Ghosts of Bunker Hill and the Macavity nom! As you know, I think your story Parallel Play is also terrific and I think there should be a special dispensation so people can vote for both of our stories ;-). Excellent piece, as usual, Art. In a recent story my main character mentions a book and its cover's meaning to him. Sometimes the cover art manages to encapsulate the reading experience in one's memory, acting as a trigger for a pleasant experience. Other times it may accomplish the opposite, a kind of bright colors means poison moment. In any event, I'm ordering "Dr. No" because of the cover. That's good art. Thanks, everyone, for chiming in--and thanks, Paul, for the kind words on my story. We'll have to lobby for that special dispensation! And Janice, sorry I missed including your Wildside Press books here—I'll edit and add now!!! Art, thanks for a great article on something very importnat: small, independent presses. I like nice editions, but to be honest, when it comes to Victorian novels, I love owning the real 1800's volume; for one thing, there's nothing like an old 1860's edition which someone, long ago, wrote a dedication in, made notes in the margins, and underlined passages. It's like time travel. So those I collect and keep, even if tattered and worn. Enjoyed your post, Art. In general, I prefer inexpensive paperbacks--I don't want to worry about accidentally damaging a book, and I want to feel free to underline and take notes in the margins--but books with strong personal associations have a real hold on me. I still have my mother's tattered copy of Little Women (printed in 1923, I think--I must have read it at least twenty times while I was growing up), several books my father used while he was teaching (with his notes in the margins), and several books that my parents read to me and that my husband and I later read to our own children. And my current Facebook picture shows me with my timeworn copy of Gaudy Night--I bought it when I was in college, when I was taking a summer seminar at Oxford. It was the first mystery I'd read since my Nancy Drew and Trixie Belden days (I still have some of those, too), and I've been addicted ever since. Interesting post, Art. I try to give away most of the books I buy after I read them. (I need room for all the unread books.) I do keep some, usually to serve as a reminder that I loved this book, so I should look for more from that author. And I generally feel that the words are key. The packaging, be it paper or ebook, doesn't matter in the long run. But your post has made me realize there is something that ebooks don't make available that paper books do: the spine and back cover copy. The first edition of my collection (thanks for mentioning it) had the book's title misspelled on the spine (Don't Get Mad, Gen Even). Frustrating. Embarassing. But it also has become a very limited edition because of that. So does that make it a special edition perhaps? I guess I will choose to think so. Eve: I agree on that, and I have a couple of very old editions that do indeed feel like time travel. Doug Greene, whom I mentioned, has said that he likes to see the books in the form the original authors saw them--that's part of the importance of a first edition for him. Makes sense! Bonnie: Agreed totally on being able to write in books too. I have paperback versions of books I teach, of course, so I can underline, make notes, etc. etc. In some cases, though, I also have a nicer edition at home on the shelf--best of both worlds in some ways! Part of this is shifting from reader to writer, though; writing in the books is a way to learn about them and learn from them--such an important part of what we do. And Barb!! I have that limited edition with the misspelled title! Embarrassing maybe, but it's a collector's edition for me, and I value it greatly. A couple months ago I was shopping at hamiltonbook.com & ordered, among other things, a copy of Classic Locked Room Mysteries. The description said, "This collectible volume is bound with gilded pages and includes a ribbon bookmark." I was totally unprepared for how beautiful this little book is. I haven't read any of it yet! And I truly appreciate old raggedy paperbacks if the writing is good. Art, thanks for the Parallel Play freebie! I'm looking forward to reading it. Generally I'd say the story's the main thing. But even as a kid I appreciated the older Nancy Drew editions with the original dust jackets. I think they added to my reading enjoyment. And thanks, Maggie, for checking out "Parallel Play"—hope you enjoy! My dentist's office used to keep a selection of children's books. Each time I took my daughter to the dentist, she would pull out a copy of "And No More Elephants," which she loved. Years went by. On one visit, I told the dentist how much my daughter loved that book and that if they ever planned to get rid of it to please keep me in mind. She immediately pulled it out of the cupboard where it was stored and gave it to me, saying that they were going to remodel the office. We wrapped it up and gave it to our daughter with some other birthday gifts. At age 25, it was the gift she was most thrilled with. She even wrote the dentist a thank you note and told them how much it meant to her. Nice article. I also recommend you to have a glance at this page.